Tickets are now available for the Crucible's Christmas show, 'Kiss Me, Kate'. 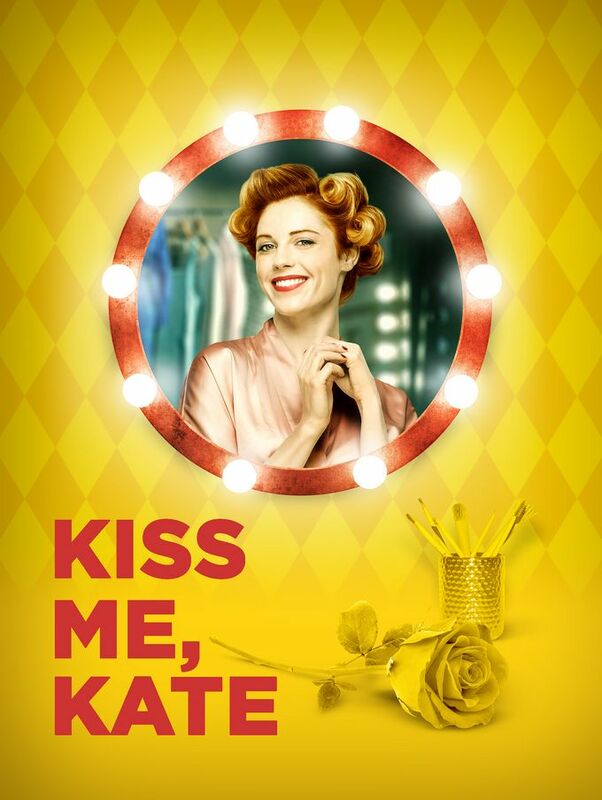 The cast for this year’s Christmas musical, ‘Kiss Me, Kate’ at the Crucible Theatre has today been announced. The show, which will run from Friday 7 December until Saturday 12 January 2019, depicts opening night for two feuding divorcees, Fred and Lilli, as they star in ‘The Taming of the Shrew’. As the curtain rises, gambling and mistaken identity attempt to create chaos. As directed by Paul Foster (Annie Get Your Gun), the romantic musical comedy features some of American composer Cole Porter’s most iconic music, including Too Darn Hot, Brush Up Your Shakespeare and So In Love. The cast will feature Edward Baker-Duly (The King and I) as Fred and, familiar face at the Crucible, Rebecca Lock (Oliver!) as Lilli. Completing the cast are: Delroy Atkinson (My Family), Cindy Belliot (Sweet Charity), John Conroy (Me and my Girl, Crucible Theatre), Dafydd Emyr (Doctor Who), Dex Lee (Five Guys Named Moe), Ross McLaren (Top Hat), Joel Montague (Fat Friends), Adam Rhys-Charles (Anything Goes, Crucible Theatre), Amy Ellen Richardson (Beautiful: The Carole King Musical), Matthew Whennell-Clark (My Fair Lady, Crucible Theatre) and Layton Williams (Hairspray). The ensemble includes: Jessica Buckby, Ronan Burns, Louis Gaunt, Ruby Greenwood, Tash Holway (also Assistant Choreographer and Dance Captain), Jennifer Louise Jones, Bobbie Little, Simon Oskarsson, Clancy Ryan and Emmanuele N’Zuzi. Tickets are available now for ‘Kiss Me, Kate’ at the Crucible from 7 December until 12 January 2019. You can purchase tickets (starting at £15) in person at Sheffield Theatres’ Box Office, over the phone on 0114 249 6000, or online at www.sheffieldtheatres.co.uk.